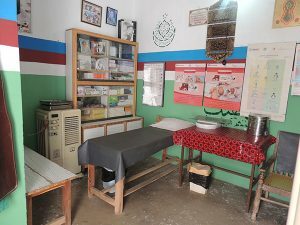 When community midwife Alia Jogi first opened a small health clinic at her home in the remote Pakistani village of Haji Allahdad, very few women came for her services. But since participating in a small business development program funded by the United States Agency for International Development (USAID), she has been empowered with the knowledge, skills and means to dramatically expand her practice. Today, so many more pregnant women and mothers are turning to Alia for maternal health services that she had to relocate her clinic to a larger space. Her income has grown tremendously, and now Alia is the proud owner of a car. 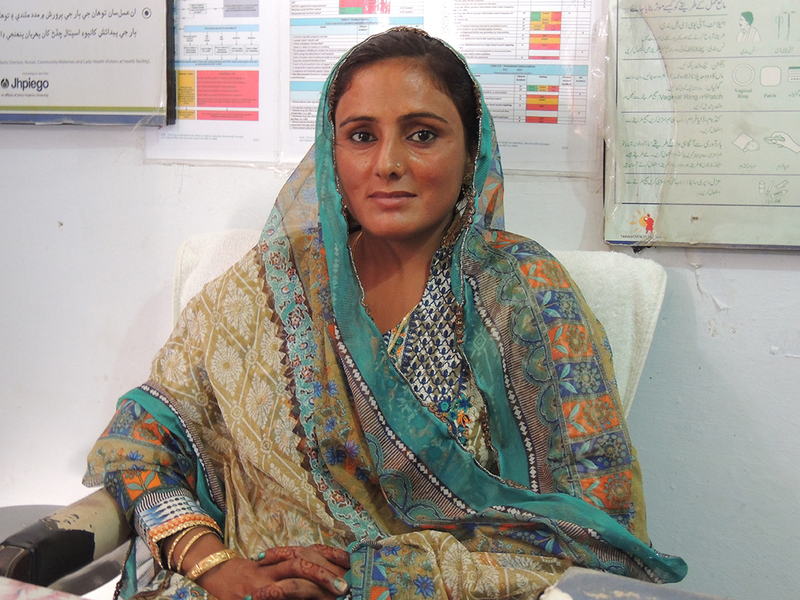 She attributes her success to two trainings imparted by USAID’s flagship Maternal and Child Health Integrated Program (MCHIP), working in partnership with the government of Pakistan. The first training enhanced her clinical skills, and the second focused on developing business management skills. Through these trainings, she learned a variety of vital skills, including recordkeeping, business planning and marketing. The trainings, coupled with on-the-job coaching provided by MCHIP, led to improvements in her midwifery practice and the service she delivers. Thanks to the training, Alia said her clinic is more efficient, the quality of care is elevated and the practice gained a sense of legitimacy among members of her community. Together, these strides, made possible by USAID’s MCHIP, have led to substantial increases in the number of patients Alia sees monthly. 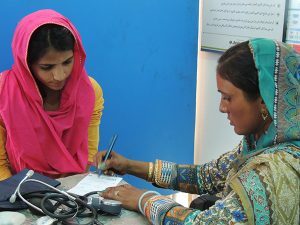 Community midwife Alia learned business skills to organize and improve midwifery practice through her own small private clinic, known as Dhanak (Rainbow) Healthcare Centre. USAID is investing in women like Alia because the impact of their improved service goes far beyond their practice. Through programs aimed at empowering women and enabling them to work outside the home, research has shown that when women enter the workforce, local economic activity can increase by up to 25 percent. According to the World Health Organization, by 2030, the world will be short 18 million health workers, making nursing and midwifery promising fields for women looking for employment for the first time. Moreover, the same report estimates that investing in a health workforce can have up to a nine-to-one return on investment for the community, with the prospect of greater gains in development and gender equality. Empowering health workers like Alia and other women carries over to their children and extended family. Evidence suggests that women spend up to 90 percent of their income on their families and that the children of an educated woman are twice as likely to survive past age 5 as those born to uneducated mothers. Consider the impact on Alia’s family. “Even after the completion of my midwifery course, we were very poor,” said Alia, adding that she received about $4 for every delivery and on average conducted four to five deliveries each month. With the training and business support of MCHIP, Alia increased her private midwifery clients markedly; today, she earns about $2,400 a month through her private practice. Additionally, Alia is paying the private school fees of her nieces and nephews. Community midwife Alia with a client. Learning business skills through MCHIP trainings helped increase her clientele and business profitability at her private midwifery clinic. For Alia, the support she received through the USAID program made her an advocate of women’s empowerment and participation in the country’s workforce. Waqas Abrar, communications officer for Jhpiego/Pakistan, also contributed to this story. Sajid Mallah is a senior field program officer for Jhpiego/Pakistan.